Thirteen shopping centres with a total area of 326,000 m2 operate in Lublin. The city's retail space density is 956 m2/1000 inhabitants and will increase to 1,126 m2 after the completion of the IKEA retail park - as Colliers International reports in 'Shopping Centres in Regional Cities | Lublin' publication. Lublin's retail space density (956 m2/1000 inhabitants) is the highest in Poland among regional cities. The second is Poznań with 862 m2, the capital city - Warsaw - has only 591 m2, and the Polish average is 292 m2. On average, there is one shopping centre per 26,200 inhabitants in Lublin and the purchasing power per square metre of shopping centre space is PLN 29,100 per annum. The level of customers shopping in Lublin's shopping centres is increased seasonally by visitors from beyond Poland's eastern border. The Lublin retail market has systematically developed over the last twenty years, but the largest retail schemes have been completed in the last five years. Galeria Zana (formerly E.Leclerc), completed at the end of 1990's, was the first shopping centre in the city. The largest retail scheme in the city is Atrium Felicity (75,000 m2, over 100 stores). Tarasy Zamkowe, delivered to the market in 2015, is the youngest scheme. Currently, the IKEA retail park with a total area of 57,000 m2 is under construction and is set for opening in 2017/2018. Other projects are in the early stages of planning or have delayed construction due to procedural or financial issues. There are approximately 1,010 stores in shopping centres in Lublin: fashion (29%), services (14%) and health&beauty (80/0) constitute the largest group of tenants. 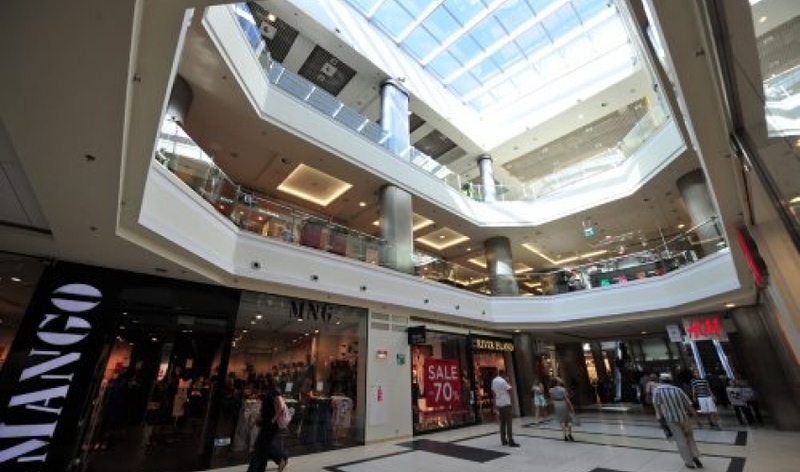 The demand for retail space in shopping centres in Lublin remains at a medium level. However, the majority of tenants interested in this market has already found space in existing shopping centres. The average vacancy rate at the end of 2016 was at 5.7%, what is a significant growth compared to 2.1% in December 2015. The highest level of available space is in Tatary RP and Tarasy Zamkowe. Rents in Lublin meet the average level and are under slight downward pressure due to competition growth and expectations in terms of lease conditions. The highest rent for 100-150 m2 GLA fashion premises is around EUR 27- 29 per m2/month. Colliers International Group Inc. is a global leader in commercial real estate services with 16,000 professionals operating from 554 offices in 66 countries. With an enterprising culture and significant insider ownership, Colliers professionals provide a full range of services to real estate occupiers, owners and investors worldwide. Colliers International has been active in the Polish market since 1997 and operates through offices in Warsaw, Kraków, Wrocław, Poznań, Gdańsk, Katowice and Łódź with over 250 employees in total. The company has been often honored for its achievements by industry organizations such as Eurobuild, CIJ Journal, CEE Quality Awards and the International Property Awards. Colliers’ most recent distinction in Poland include the “Outsourcing Star”, given in recognition of its status as one of the most active real estate advisors in the outsourcing sector; and the “Gazele Biznesu” for being one of the most dynamically developing companies in Poland.